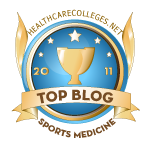 Natural Sports Medicine Blog: Headaches | Is Chiropractic Care Effective? Most people don't know the story, but yours truly became a chiropractic physician BECAUSE of migraine headaches. I remember my first headache as an 11 year old boy. The trigger was an intense puff of cigarette smoke that was blown in my face. I remember it like it was yesterday. After the smoke came a coughing fit. Within a few minutes I had an intense flashing green spot in my vision that grew and grew until all I had was peripheral vision about 30 minutes later. It was followed by an intense sensitivity to light and then of course, this gnawing dull aching throbbing pounding headache that lasted for 2 days. After the episode was over my mother took me to the family physician. He examined me, looked in my eyes and found nothing but wrote a prescription for percocet. I began getting headaches every 2 weeks. The headaches would all develop the same way. I'd get a little "hot spot" in my vision (like if you momentarily looked into the sun on a bright day). The size of the hot spot would grow, encompass my central vision. Then the visual symptoms would subside and the severe dull aching throbbing pounding headache would start. Back then it would last for as little as 12 hours to as much as 48 hours. Then there was the "migraine aftershock". Photo-phobia(sensitivity to light), nausea, the feeling of your brain rattling around inside your head when you took a hard step or tried to run. I was one of the luckier ones, I only got nauseous. Many people who get migraines actually vomit. My parents took my to various doctors and specialists and no one could figure out what was going on. I was prescribe a variety of medications from Percocet to Valium. None of which really helped any more than dulling the pain a little. When I was 17, I called my dad from high school and told him I was getting a migraine and could he bring me the Valium. Instead he checked me out of school and took me to the chiropractor he was going to for his back pain. The chiropractor examined me and then adjusted my neck. He told my father to take me home, put me to bed and see how I was the next day. When I woke up, there was no pain, no migraine and no "aftershock". I was amazed. Having lived with these migraine headaches since I was 11, there never any treatment or medication that helped take it all away. Through some coaxing from my parents, the chiropractic talked to me about becoming a chiropractor. The rest as I'm sure you've figured out, is history. But now that I am a professional that helps people with headaches and other conditions, you (or I in this case) have to ask are chiropractic spinal adjustments really effective for migraine and other types of headaches. As it turns out, not am I not the only chiropractor that has successfully treated patients with headaches, there is a growing body of evidence being published that also shows its effectiveness. So what comes around-goes around. If you're a consumer, there's more than drugs, ice packs, hot packs and massage to treat your headaches. If I'm able to help you find your way to a competent local chiropractor, then I'm happy I was able to help you as Dr. B.J. Harmon helped me when I was 11. Chiropractic spinal manipulative treatment of migraine headache of 40-year duration using Gonstead method: a case study. The effectiveness of chiropractic manipulation in the treatment of headache: an exploration in the literature. Dose response for chiropractic care of chronic cervicogenic headache and associated neck pain: a randomized pilot study. A case of chronic migraine remission after chiropractic care. Nowadays, with regular care, I get 1, maybe two headaches per year. With an adjustment during the "aura" phase, they last only a few hours now, if that. What a difference. 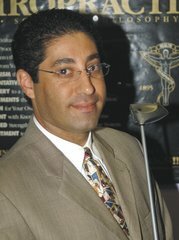 A Special Thank you to Dr. B.J. Harmon for helping me when I was a young boy and directing me into this great profession. Dr Narson was a member of the COPAG International Chiropractic Sports Medicine Team at the 2011 Pan American Games in Guadalajara, Mexico.